June | 2012 | Another Beautiful Day in Paradise! Yesterday was Mrs. Poolman’s and my 36th anniversary. I wrote a post remembering the truly bizarre circumstances surrounding our wedding in 1976. However, in the spirit of maintaining peace in the family, I had second thoughts about actually posting it. Normally, I don’t worry about offending the guilty parties,but it has been 36 years. Sorry ’bout that. Meanwhile, I ran across this really cool collection of satellite images that are worth a glance. 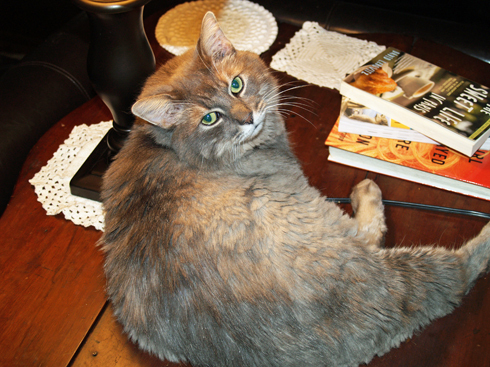 Our large (16 pounds) silver Manx cat, Sid, hasn’t been taking very good care of himself lately. He has slacked off on his grooming, and the result is the long fur on his back became just an impossible tangle of matted fur. This isn’t the first time we have had to intervene with Sid’s grooming issues. Mrs. Poolman finally found a groomer who could handle Sid’s problem and left it to me to get him there and pick him up. Sid the Tailless with his new look. Sid is not a big fan of being messed with, being placed into a carrier. He is a master of the spread-eagle “I’m not going!” move. Our technique is to turn the carrier up on its end; hold his front and back legs together; and allow Sid’s significant weight help lower him into the carrier. The funny thing is, once you get him confined to his carrier and into the car, he becomes resigned to his fate and is fairly well behaved. I dropped him off at the groomer across town yesterday morning and picked him up after work. The groomer said he behaved himself. The funny thing happened after we got home. His “sister”, Penny, acted like he was a stranger. She hissed and growled at him. I don’t know whether she didn’t recognize him (He didn’t look that much different.) 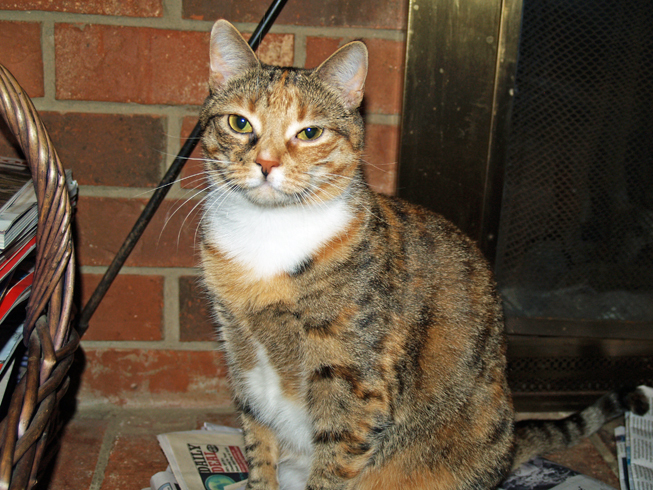 or was commenting on the new haircut, but it took most of the evening before Penny stopped acting strange. The dogs, on the other hand, didn’t notice the new “do” and didn’t care. No surprise there. 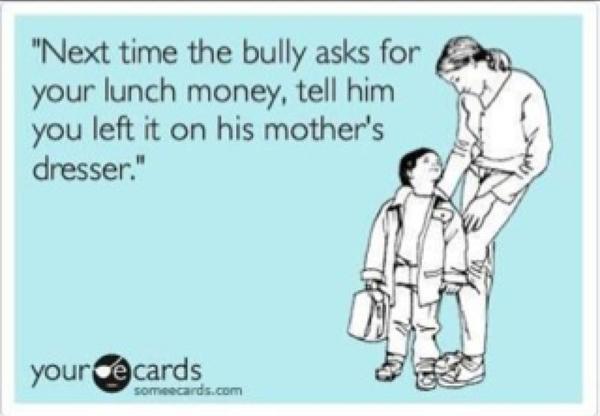 I think we’ve all seen those e-cards that seem to pop up everywhere. I ran across this one and laughed out loud. Mrs. Poolman and I rented two movies over the weekend, but only got around to watching the the second one last night. At a dollar a day from Blockbuster Express, an extra couple of days on the rental isn’t a big deal. 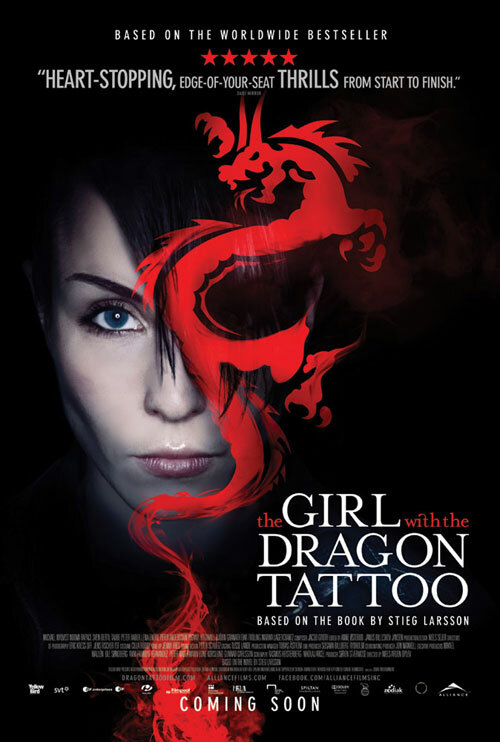 In an earlier post, I described “The Girl with the Dragon Tattoo.” I really liked the American movie, although I wasn’t entirely happy with the way the movie ended differently than the book. 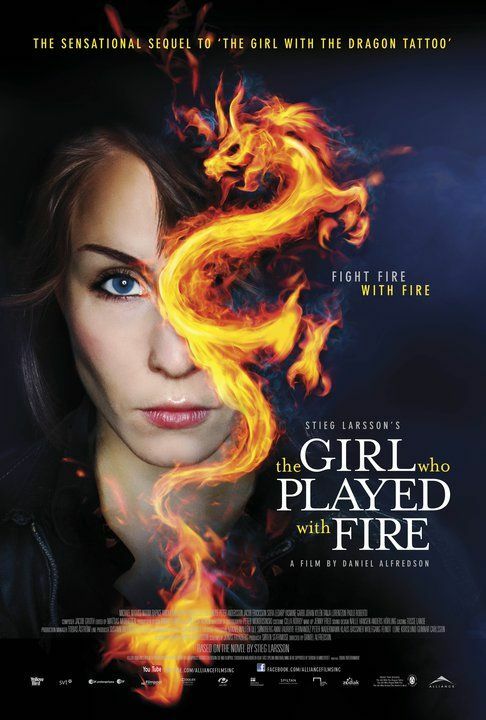 In 2009, before Hollywood discovered Mikael and Lisbeth, the Swedes made movies from all of the Steig Larsson ‘s three novels. We rented “The Girl..” and watched it on Saturday. I thought it was as good, if not better, than the Hollywood version (Daniel Craig, Rooney Mara, etc.). Of course, the actors in the Swedish mov ie speak Swedish. Duh. So you have to watch it with the English subtitles. I have hearing problems. I usually watch most TV with the closed captioning on anyway, so this was perfectly natural for me. It’s a very good film. If you have read the book and enjoyed it, take a shot at this version of the movie before watching the US version. The second movie we watched was far outside our usual viewing patterns – the 2010 teenage vampire movie “Let Me In.” Since I am not an adolescent girl, I have not been bitten by the vampire movie bug. I saw the first movie of the Twilight series, only because my daughter cajoled me into going with her, and I don’t think I have ever watched “True Blood.” Not since Bela Lugosi lurked the castles of Transylvania have I cared much about blood suckers. I ran across “Let Me In” while browsing movie rentals on line, and I remembered a review I had read when it first came out, along with a profile of one of the leads, Chloë Grace Moretz. So I thought, “What the heck?” and gave it a shot. Chloë plays, Abby, a 12-year old girl living with her father in a Los Alamos apartment complex. She meets her next door neighbor, Owen, a much-bullied boy her age. They meet and get along, but the twist is that Chloë is a vampire who needs to drink blood in order to survive. Her father isn’t really her father. He is a vampire too. He goes out into the community at night to kill and drain blood to feed his “daughter.” One of these blood-draining expeditions goes awry and the story spins from there. The script is well written and both Chloë and Kodi Smit-McPhee (Owen) did a great job, especially for a couple of young kid actors. 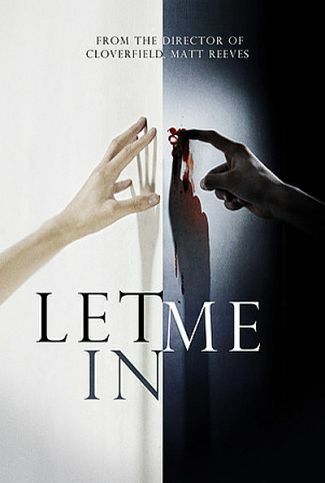 “Let Me In” is a little different, but I thought it was very good. The vampires are not painted as monsters, but rather as a pair of people just doing what they need to do to survive. The friendship between Abby/Chloë and Owen is cute. The end of the movie has an interesting twist that I won’t give away. Bottom line – I really enjoyed the move and I’m glad we watched it. It’s definitely worth your time.